The Pope has again risked provoking the wrath of the Islamic world, by criticising its treatment of Christians. Mr. Jefferson couldn’t have said it better. And the Pope was right a year ago, too. Paging Islamic Rage Boy! 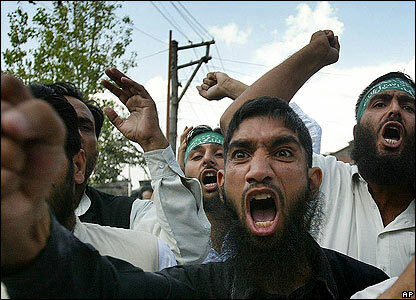 Will Mr. Islamic Rage Boy please report to the nearest al-Reuters camera crew! LINKS: More at Captain’s Quarters, Sister Toldjah, Gateway Pundit (who links to the text of the Pope’s speech), The Van Der Galien Gazette, and Atlas Shrugs. You are currently browsing the Public Secrets blog archives for the day Sunday, September 23rd, 2007.